When you live in a warm area of the country like California the reliability of your air conditioning system can be of crucial importance to you. While you may need it constantly in the summer months, you will find that you want it to work throughout the year since it can still get very warm even in the winter. This means you need to be sure to always have your system running at its best so you get the best performance from it. If something should go wrong you could find conditions to be unbearable. You want to be sure that you have a quality AC repair company in Burbank, California at the ready for you to call when needed. Even just having to go a day or two without air conditioning in the high heat can be very difficult for you, particularly if you or a member of your household has health issues, is elderly or an infant and needs to be taken care of properly. It is good to know the number of a company that you can really rely on to get to you in a timely manner when something disrupts your service. 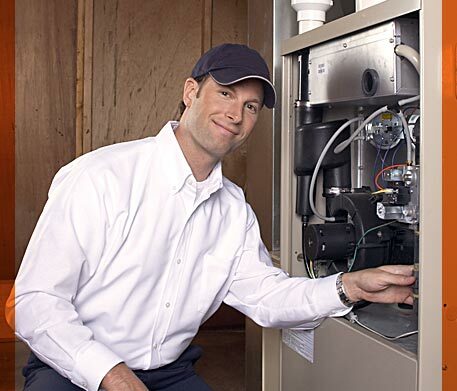 It may be that it is just a matter of a simple repair or that you need to schedule an annual cleaning or checkup of your system to keep it running well. Sometimes getting the system checked can catch a problem early enough before it manifests itself into a larger problem that can cost you hundreds or thousands of dollars in repair or replacement. You want to make sure you turn to a company that you can really trust to do good work for you. Look for a company that is fully licensed and bonded so you know they are experienced professionals that are up on all of the latest in technology and tools needed to repair newer systems as well as older ones. You should also check to see how long they have been in business in the area and even ask for references to see how previous customers are satisfied with their work. Once you know of a quality AC repair company in your area you will always know who you can turn to in a time of trouble with your system. This will make you feel more confident about the work that is done when you have a repair company that you can put your faith and trust in.